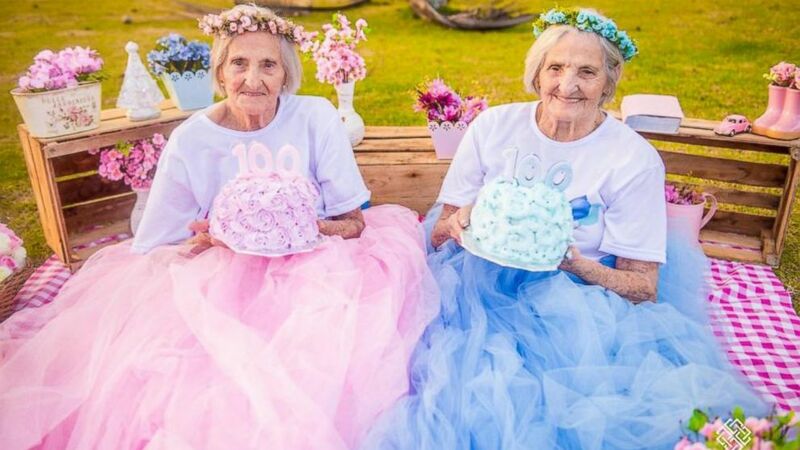 Maria Pignaton Pontin and Paulina Pignaton Pandolfi turn 100 on May 24. 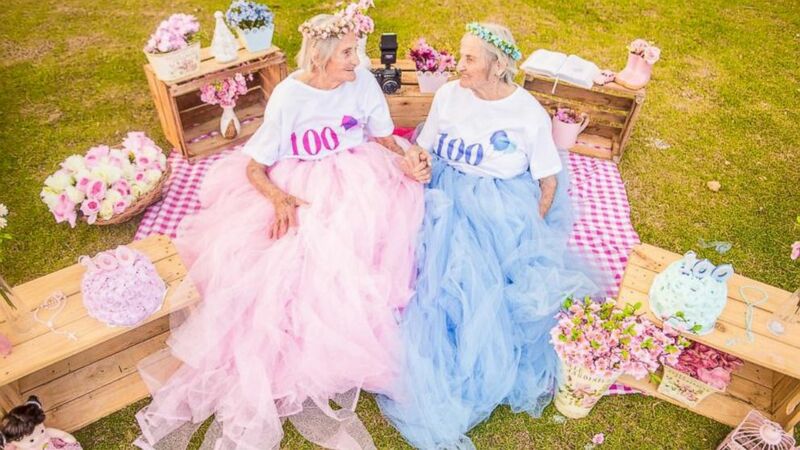 (Camila Lima Photography) Brazilian twin sisters Maria Pignaton Pontin and Paulina Pignaton Pandolfi celebrated turning 100 on May 24 with a whimsical photo shoot. The photographer said she regularly takes photos of older couples "as a way to inspire young couples." 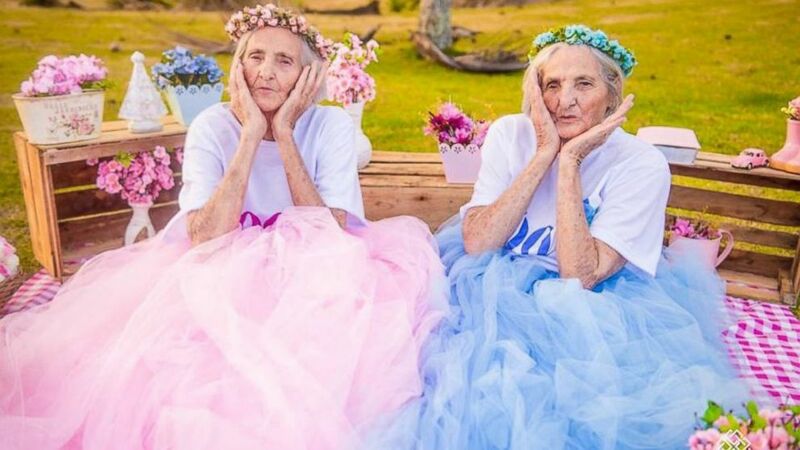 She decided to reach out to the sisters, who live in Ibiraçu, Brazil, hoping they'd participate in a photo shoot to mark their milestone birthdays. Lima, 28, said the two-hour photo shoot on Monday included hair styling, makeup application and pink and blue matching dresses. She added that the two sisters "were all excited." "They did everything I asked and did not complain about tiredness," the photographer said, noting that both were "very happy and satisfied" with the finished photo shoot. It's a great present for the twins and their big family. Pandolfi has six children, 19 grandchildren and 16 great-grandchildren, while Pontin has five children, 12 grandchildren and seven great-grandchildren, according to Brazil's Gazeta News.